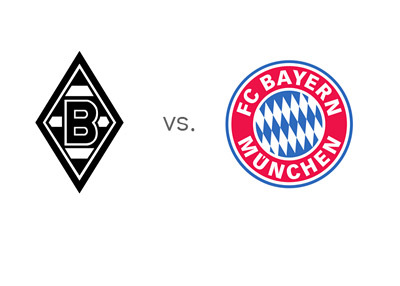 Third place Borussia Monchengladbach will host first place Bayern Munich in the eighteenth round of the German Bundesliga on Friday, January 24th, 2014. This is not so much a game that could endanger Bayern's dominance in the league this year, but it is a game that can put Monchengladbach back on the football map. Borussia M. are undefeated in their last eight league games and are in a great position to qualify for the UEFA Champions League next season. They are one point ahead of Dortmund at the moment, a team they beat 2-0 earlier in the competition. Most recently, before the winter break, Gladbach drew with fifth place Wolfsburg 2-2 at home. The Brazilian, Raffael Araujo, is the team's leading scorer with nine goals so far this season. Bayern are dominating the German Bundesliga again this season. Even with one game less played, they are seven points ahead of second place Bayer Leverkusen. Not counting the recent 3-0 friendly loss vs. Red Bull Salzburg, a game in which Pep Guardiola experimented heavily, Bayern are a force to be reckoned with. They most recently won the FIFA Club World Cup, and have eight wins from their last eight Bundesliga matches, scoring 27 goals along the way and conceding 5. As one would suspect, the visitors are the huge favourites. A 100 € bet on Borussia could return 750 € in profit, while the same bet on the reigning European and world champions could return 36 € in profit. The most likely score on Friday, according to the odds, is 0-2 and it is offered at 13/2. Mario Mandzukic and Thomas Muller are the favourites to score at 8/11 each. Luuk de Jong, the Netherlands international, is the favourite to score for the hosts at 9/4. Can Borussia Monchengladbach start the second half of the season with a big bang? The score in Munich on August 9th, 2013 was 3-1 for Bayern. It is good to have Bundesliga back!